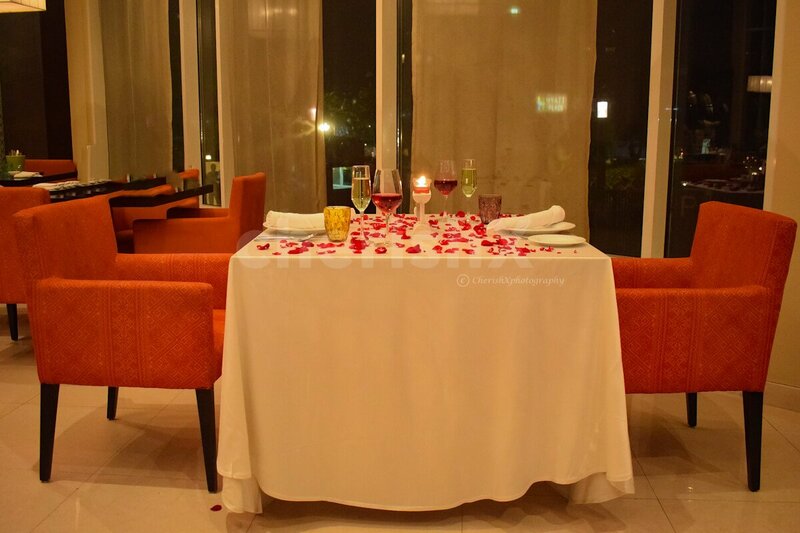 Enjoy a romantic fine dining experience with your beloved. 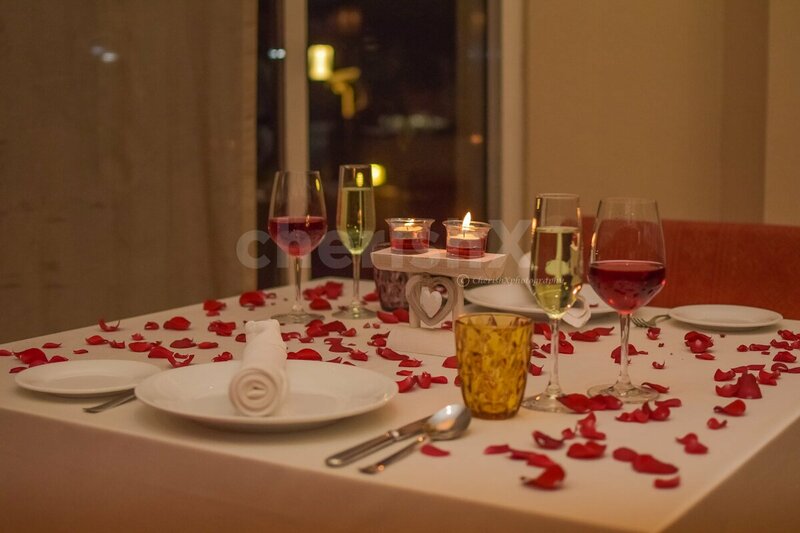 Planning a romantic dinner date with your loved one? Look no further, because this amazing Indoor dining experience at the great Hyatt place will fulfill your wish. The elegant interiors, mixed with beautiful lighting is the perfect setting for a romantic dinner. Upon your arrival, you will be welcomed warmly with refreshing mocktails for two. 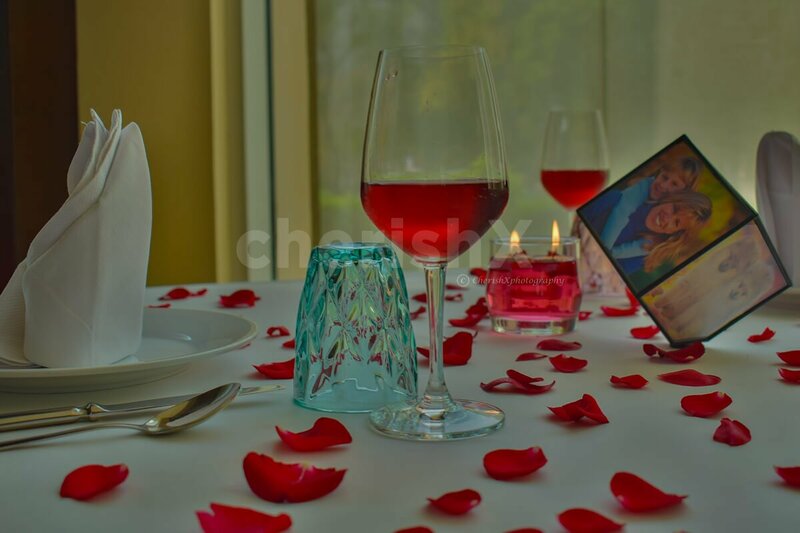 Once you're comfortably seated on a table- decorated with delicate rose petals and candles, A delicious 3-course meal consisting of 2 starters, 2 mains and 2 desserts will be presented to you. For your convenience, a private butler will be at your service that will cater to your every need. 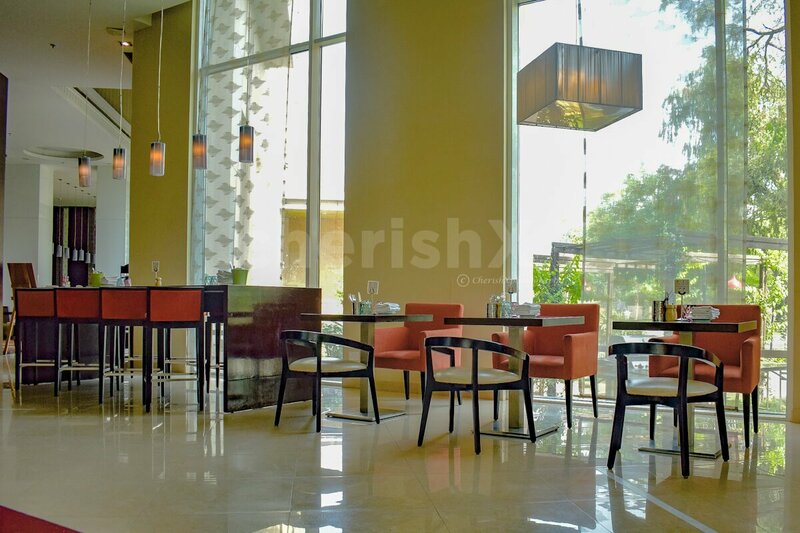 Have great uninteruppted conversations as the ambience is relaxed and low music is playing in the background. A perfect way to reconnect! You can heighten the experience by choosing from our carefully curated customisations: Gift them a flower bouquet or finish the romantic dinner by cutting a sweet cake. This revolving photo cube gives the illusion that it is rotating on one corner. Enjoy changing views of up to six photos for a unique kind of slideshow and capture your favorite moments in motion!